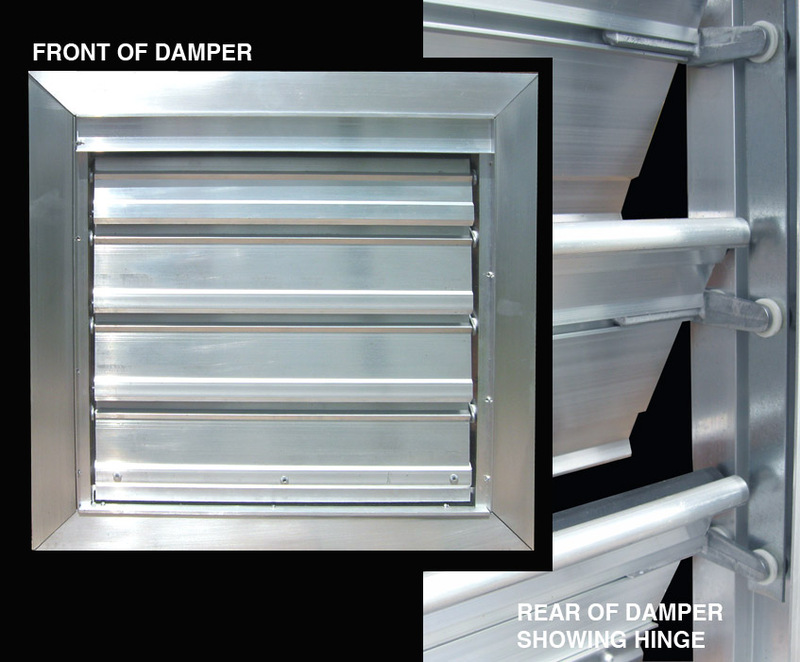 Bestlouver offers a comprehensive range of premium quality backdraft dampers suitable for all commercial HVAC applications. Units can be used individually or ganged for mulitple sections. 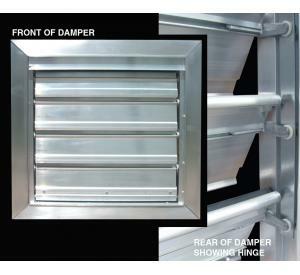 Damper is 0.5" less than ordered dimension unless actual build size is chosen. FRAME: 6063T5 extruded aluminum, min. wall thickness 16 ga.
BLADES: 16063T5 extruded aluminum 16 ga. Counter balance rod holder built into rear of blades. Vinyl blade cushioning seals. LINKAGE: 16 ga. x 0.675" wide aluminum concealed in channel frame. Click the blue product specification link above to download specifications.